Morning Constitutional: What's the Best Way to Combat QB Transfers? Morning Constitutional: What’s the Best Way to Combat QB Transfers? Today’s Topic: What’s the Best Way to Combat QB Transfers? 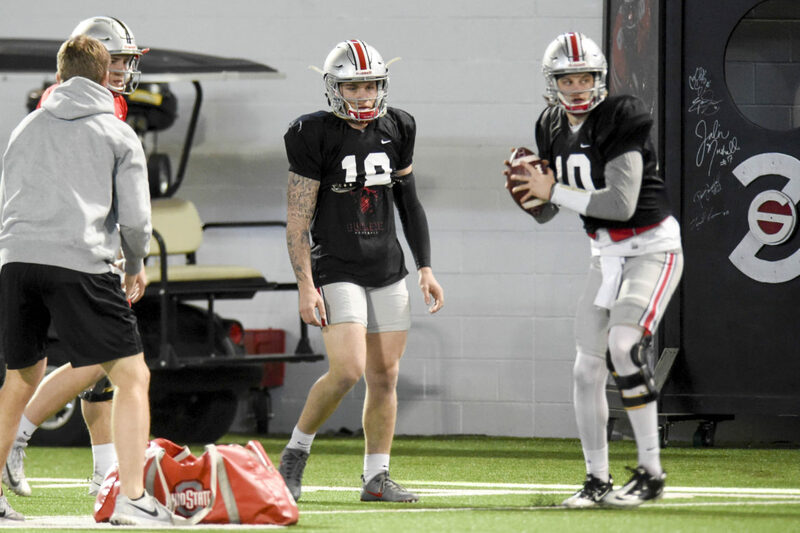 One year ago at this time, Ohio State’s quarterback room had Dwayne Haskins, Joe Burrow, Tate Martell, and Matthew Baldwin. This year, Haskins is off to the NFL, Burrow will be in his second season as LSU’s starting quarterback, Martell is at Miami waiting to hear back on his eligibility, and Baldwin is watching a quarterback who was at Georgia last year attempting to bypass him as the Buckeyes’ starter. As if you didn’t already know, a lot can change in a year, especially at quarterback. No other position transfers as much as quarterback, and things aren’t going to slow down any time soon with the transfer portal. While they may not like it, coaches understand why it happens. Only one player can really play, and one of the main reasons most coaches try to sign a quarterback every year is because they know they will lose some to transferring. Patience in the pocket is a coveted quarterback trait, and today it is much more realistic than patience on the sideline. There is a constant dance when it comes to recruiting quarterbacks. Coaches want the best player they can get, but they understand that if a new quarterback is too good, then other guys may either transfer out or choose not to come to your school at all. Day’s situation now is that he has lost a starting quarterback that they thought they would have at least one more year. They also lost his backup. And they also lost the QB they had committed in the 2019 class just because of the speculation that Justin Fields was going to transfer to Ohio State. There is more drama in most quarterback rooms than on any reality television show. So how does Day plan on solving it? “I think honesty is the best way to go,” he said. “I think it has changed in the last year. It’s changed in the last two to three years, it has changed the last five years to the last decade. It’s changing. Also, I realized I didn’t directly address the question asked in the article’s title. The problems is that there is no “best way” to combat QB transfers. Even if the conferences/NCAA could agree on limitations, self serving people would raise all kinds of clamor (” They can’t do that, it’s not fair”! is what we’d hear… ) I would eliminate grad transfer immediate eligibility to close that loophole (you can come to school here, but you’ve got to wait to play). I’d also consider some sort of limited timetable for players to transfer, rather than some perpetually open “portal”. Yes, I know some people won’t like it, I would merely think offending some folks was worth salvaging the actual sport we love. As fearful as I am for the possible ill-fate for tOSU, student athlete transfers are probably overdue. It might make the Alabama recruiting policy finally line up with everyone else. I sure like the way it made eSpin squawk after Justin Fields xfer to tOSU. You heard very little negative from e-sec-pn concerning transfers until they thought it might favor tOSU. A good off-season article for Tony Gerdeman to research might be “The Tragedy of Tate.” It was never in the cards for him at OSU. Even now, I am not sure Miami is the right fit for him. Hope the best for Tate, but he has had a bad rudder since leaving high school. I thought so too when he signed. He was too arrogant, too spoiled, too short, and too behind on the depth chart to have the maturity to wait it out. Even then, I thought he would have to sit behind Haskins and Burrow until that was done, and I assumed that Urban would bring in some fantastic kid behind him. The irony is the end result played out the way I expected, but not the way I thought it would. Tater played very well in his limited opportunities and seemed to be a really good teammate. He seemed to mature, and he finally pretty much won me over with his, (paraphrasing) “I am 100% confident that I will start at Ohio State next year… other factors and transfers be damned.” Two weeks later he went to the transfer portal. The transfer portal isn’t the problem, just a symptom or by-product. The bigger problem is social media and tv and sports networks building up kids not just in their own home region but nationally from the age of 15-16 years old. So of course they build up an expectation of immediate playing time and immediate success. When you are 17 years old and dozens of commentators and websites have said you are the next Baker Mayfield or Dwayne Haskins, your mind doesn’t process that they are speaking in hyperbole or even that those guys worked and learned and watched and waited to get to their success. Many only hear that college is a rest stop on the road, something to be chewed through as quickly as possible so go find the path of least resistance ingoing after playing time. We will see more of it. 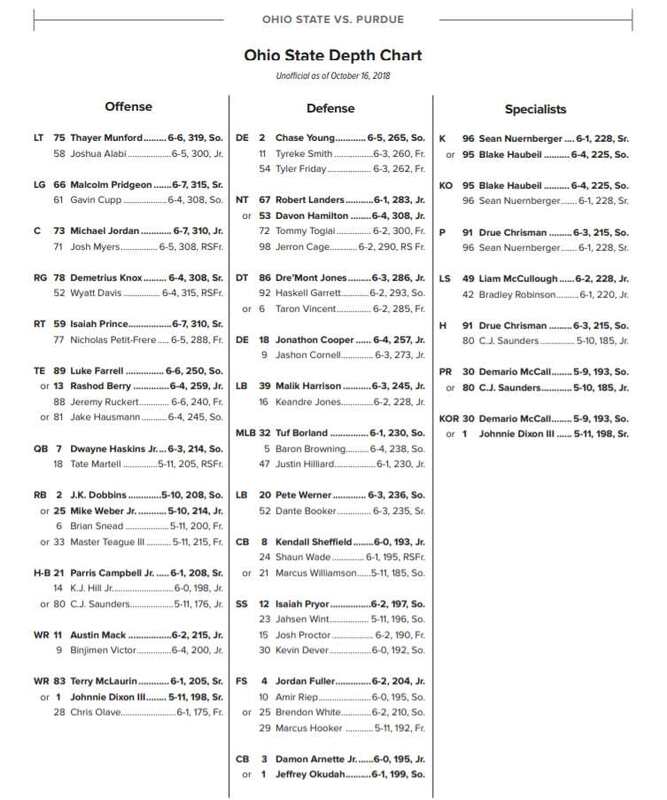 In terms of transfers, I feel so vastly different about Burrow, Fields, and Martell. Burrow stayed at OSU long enough to get his degree, growing as a player and a person and when he lost narrowly to a record-setting QB for the starting job, realized that to pursue NFL prospects his time was running out. He competed for the job at OSU even though he knew it meant he would have less time to adjust and learn a new offense if he decided to transfer. Fields went to Georgia but was behind a popular starter (it is “his team,” as the article states) with two years of eligibility left. He did not bail on a chance to compete, but on a chance to back-up and sit while eligibility is used up on the sidelines. Martell was the third wheel when he arrived, and became the “heir apparent” when Burrow left. With Haskins’ departure, as talented as Fields is, Martell had a lot going for him in a competition for the job. He bailed on competition. I feel very differently towards Martell’s decision compared with the other two.